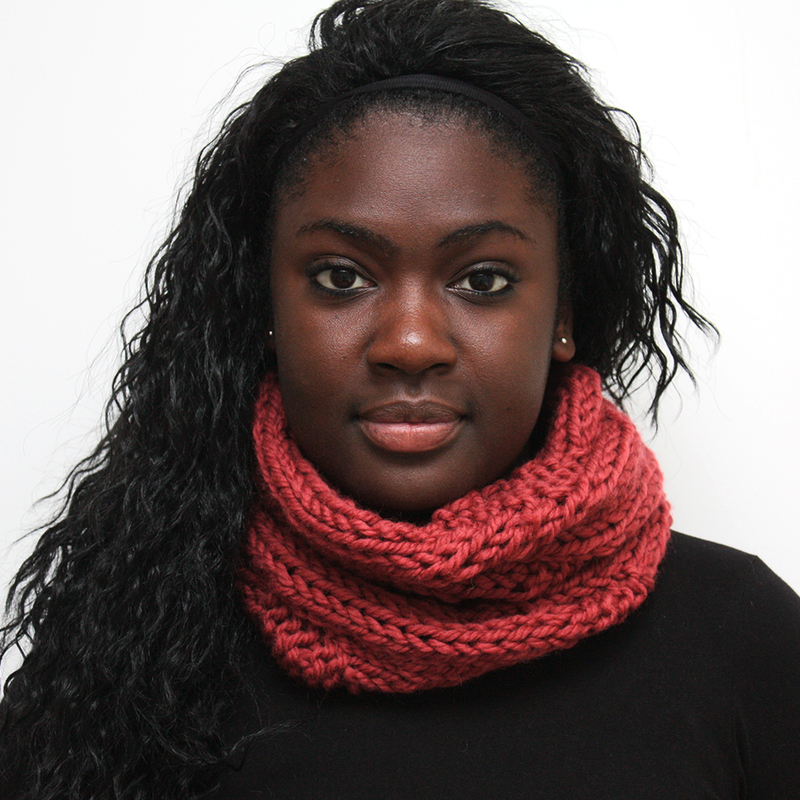 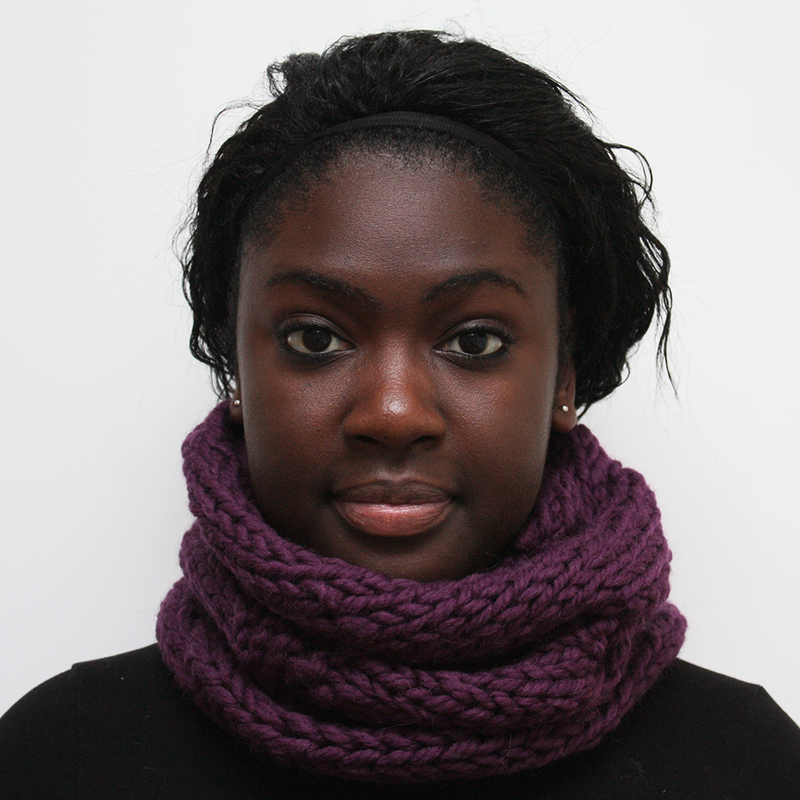 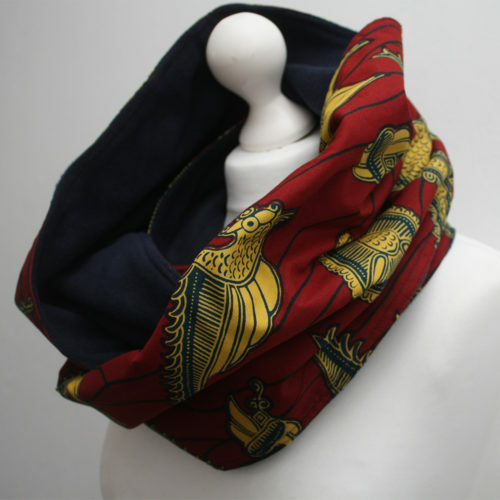 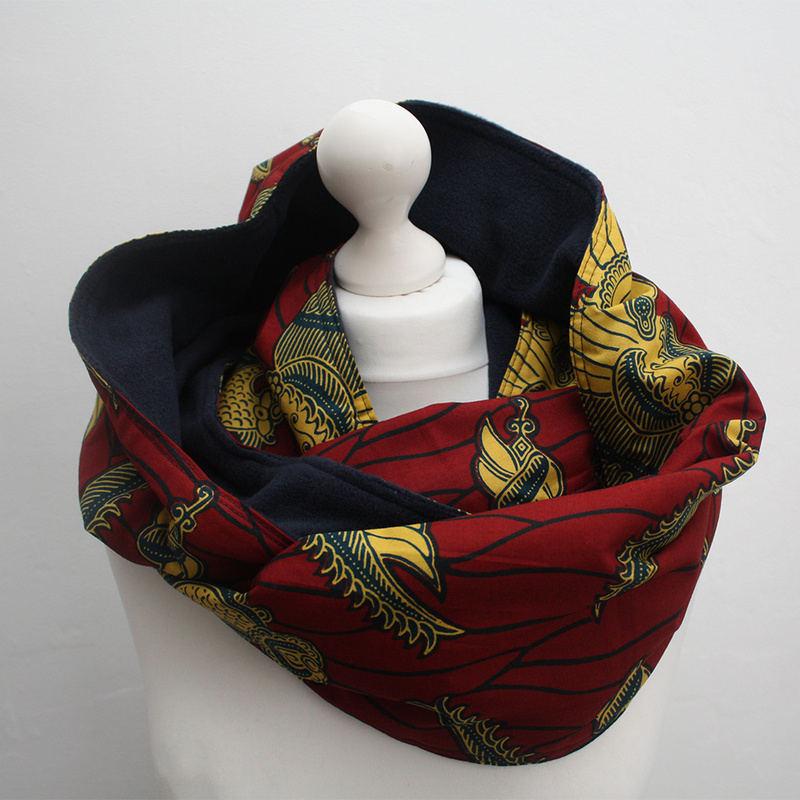 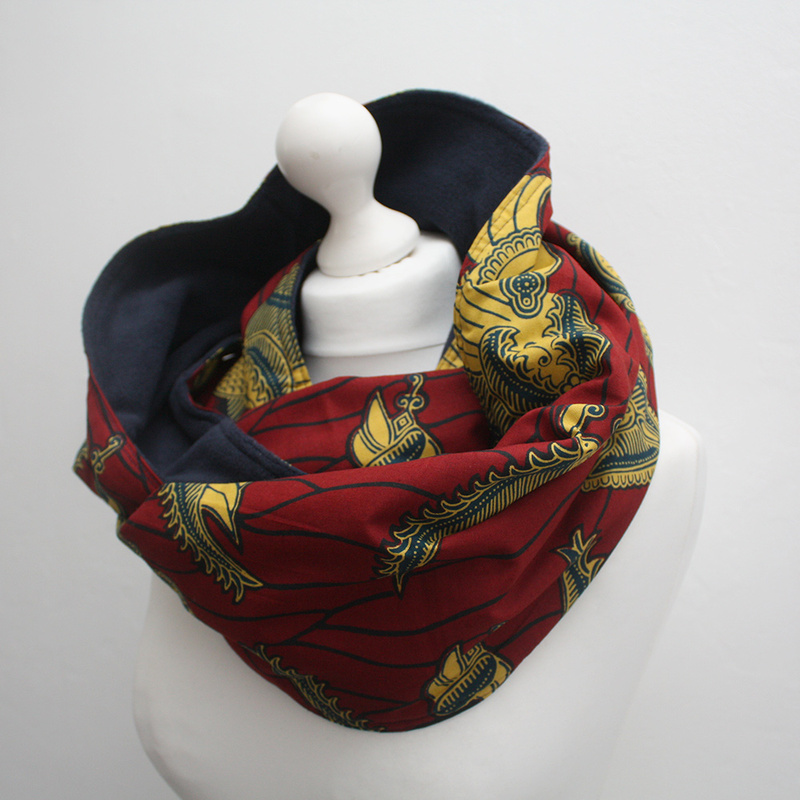 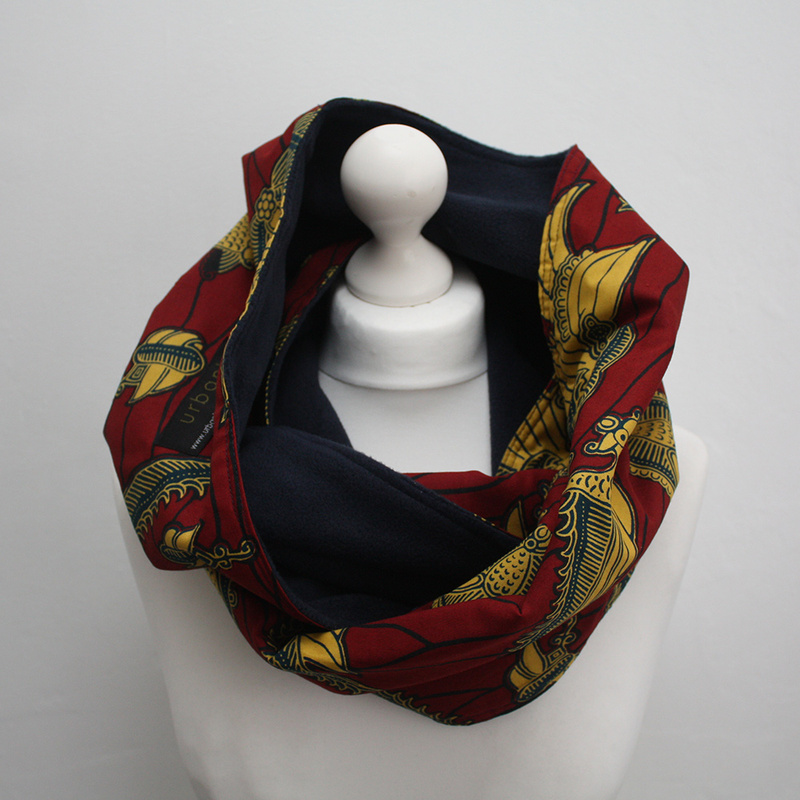 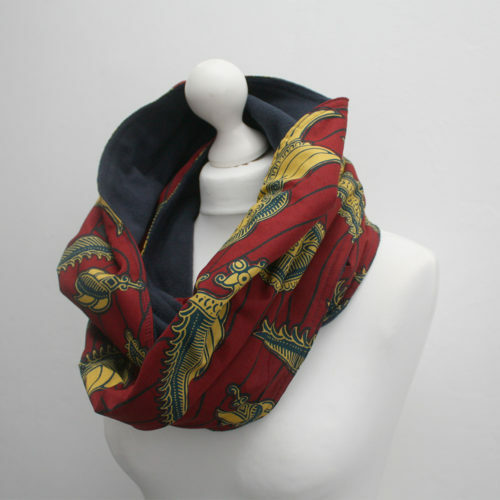 The African print snood scarf gives you the best of two worlds. 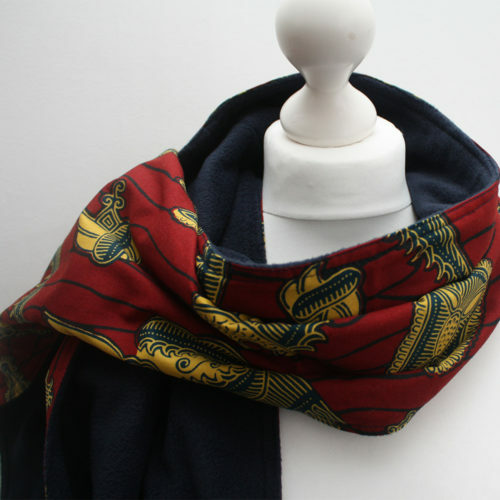 With a colourful African print on one side and a dark blue fleece on the other for comfort and warmth. 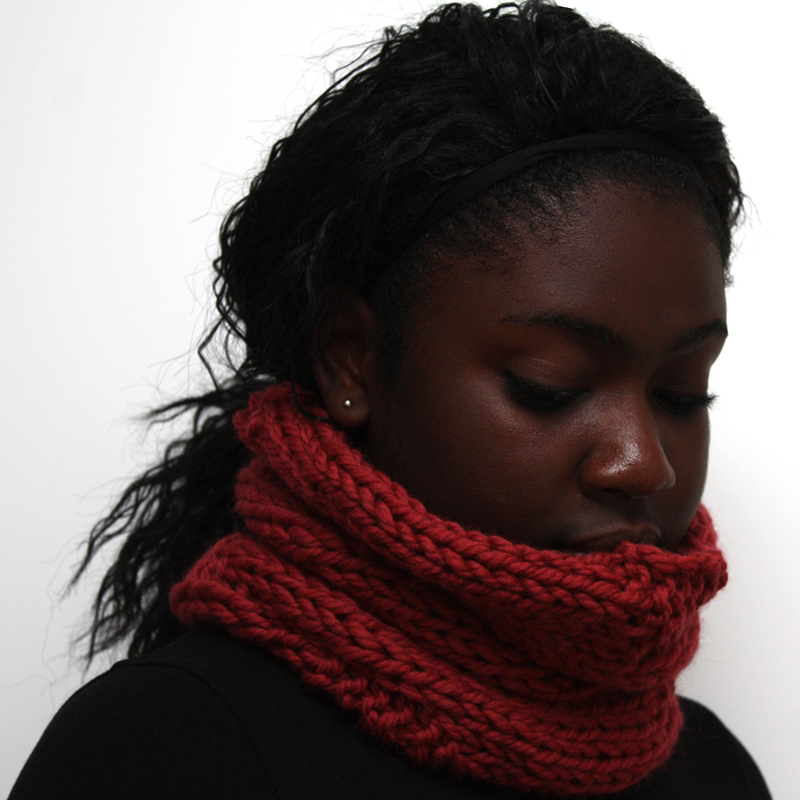 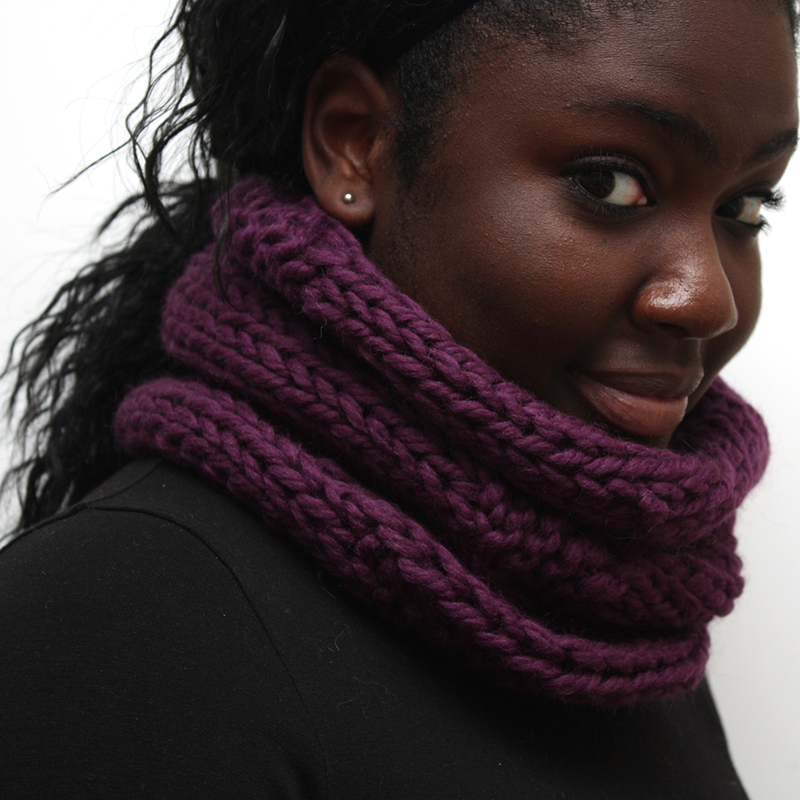 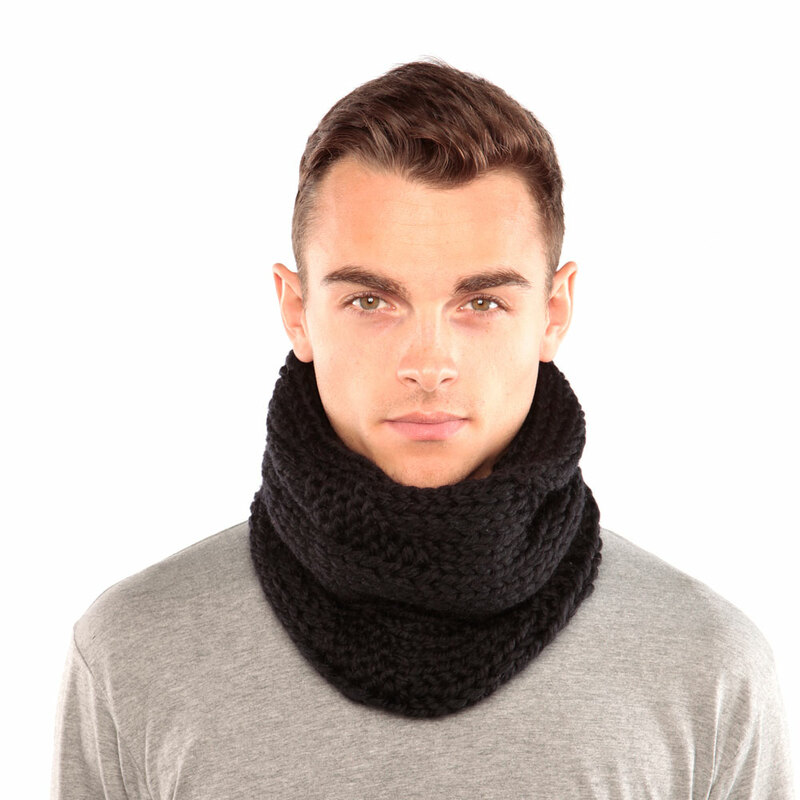 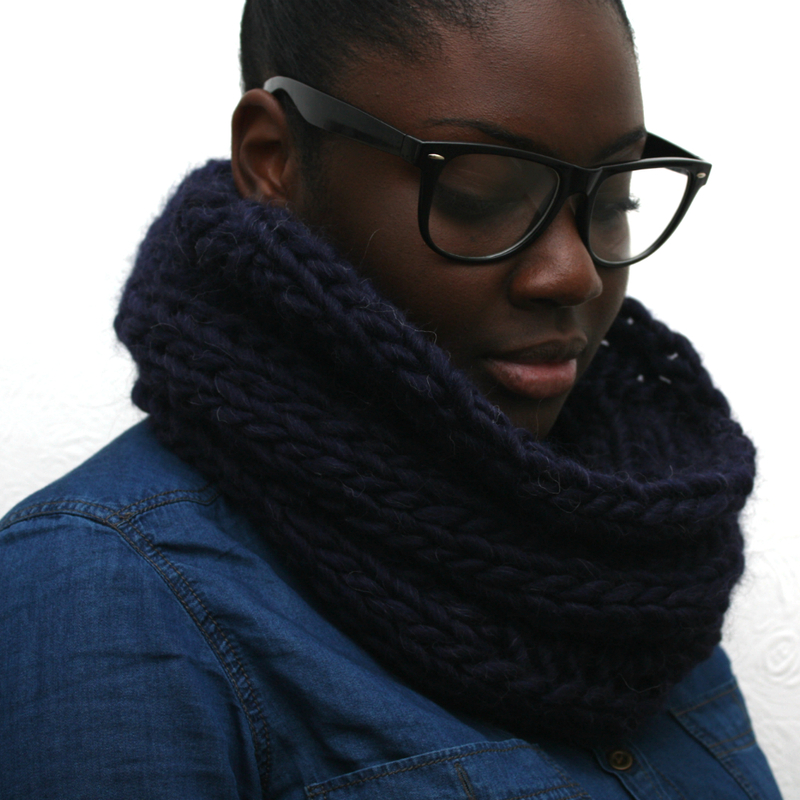 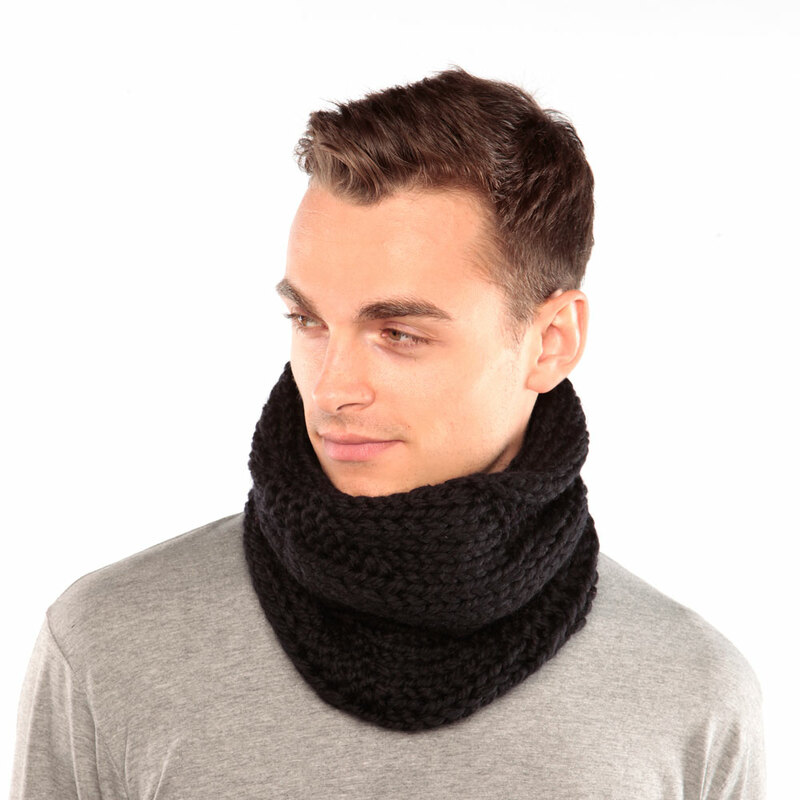 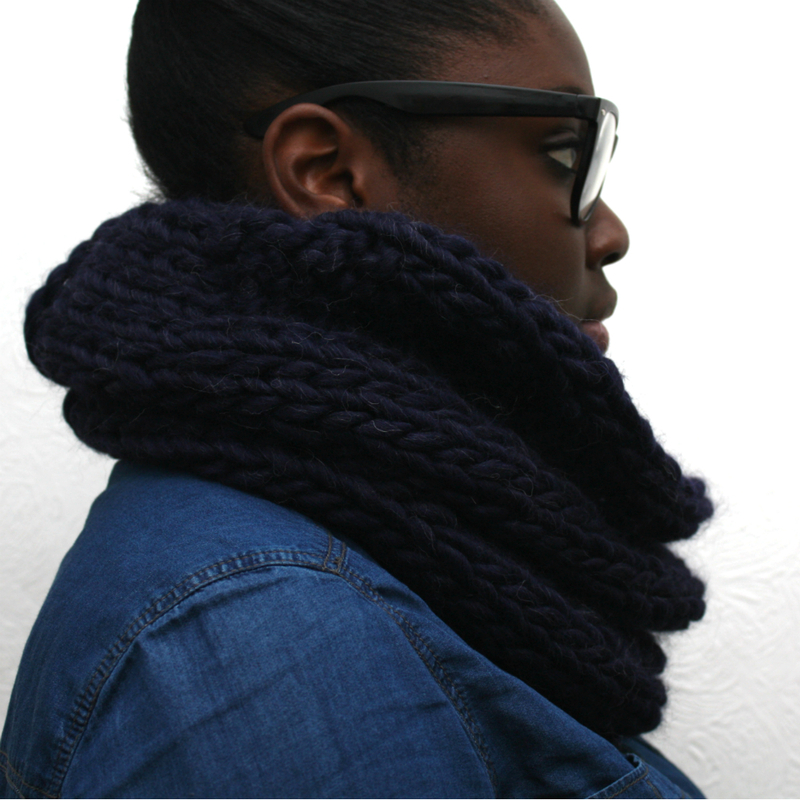 Get winter ready with this versatile scarf.